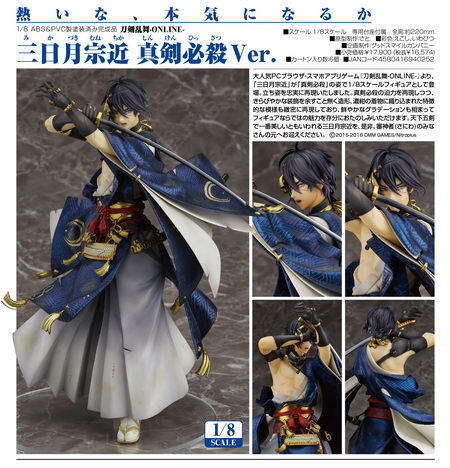 June 29th, 2017 By: GGT Category: 2018/04 release, Figure News. 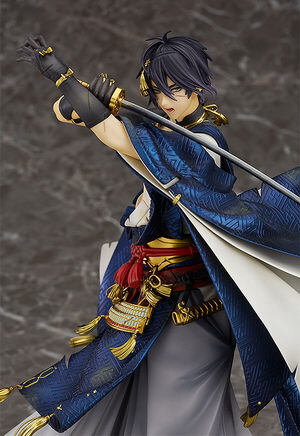 Orange Rouge (GSC x Max Factory) is going to release the Mikazuki Munechika ( 三日月宗近 ) Awakened Ver. ( 真剣必殺Ver.) 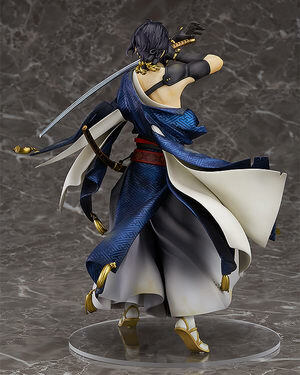 1/8 PVC figure from the browser game “Touken Ranbu -ONLINE-” ( 刀剣乱舞-ONLINE- ) developed by DMM & Nitro+. Will be released in April 2018. Around 220mm, 16,574 yen. Wow, we have 12 figure news from Good Smile Company today!!! (Oo. 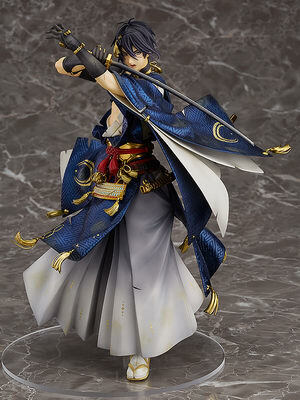 Purchases of Mikazuki Munechika: Awakened Ver. 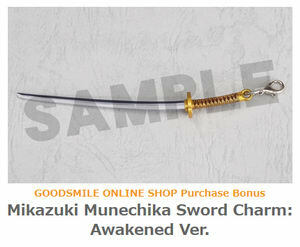 from the GOODSMILE ONLINE SHOP will include a Mikazuki Munechika Sword Charm: Awakened Ver. as a bonus! The bonus will be sent at the time your product is ready to ship. Designs shown here is for illustrative purposes only. The final product may differ. 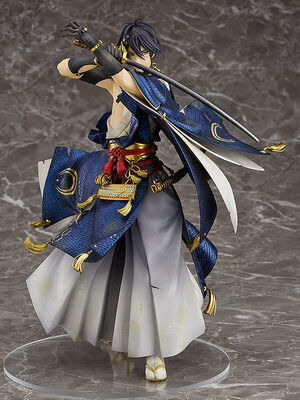 From the popular browser and smartphone game “Touken Ranbu -ONLINE-” comes a 1/8th scale figure of Mikazuki Munechika based on his “Awakened” appearance. 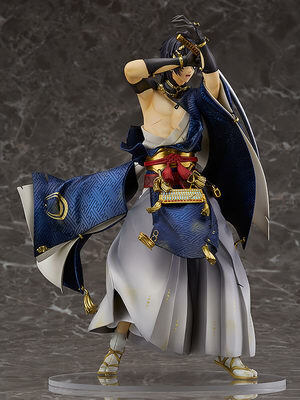 The powerful impact of his pose together with the gorgeous details of his outfit have all been captured in careful detail, with the intricate golden patterns woven into his dark blue kimono faithfully included on the figure. The vivid gradient of the kimono as also been preserved to fully capture Mikazuki’s charm, and can be enjoyed from any angle you please. 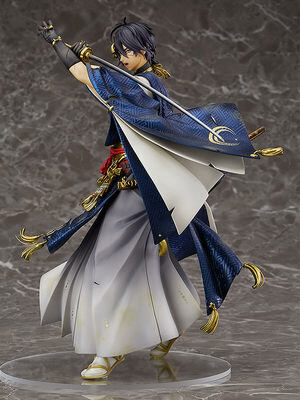 Mikazuki Munechika is said to be the most beautiful of the Five Great Swords, so be sure to add his beauty to your collection!